Music is a universal language. It transcends all human boundaries, including age. For senior citizens especially, learning how to play a musical instrument can enrich life greatly. For seniors living in or near Markham and Richmond Hill, Ontario, we have music classes designed especially for music lessons for seniors offered at the East Beaver Creek studios of 88keys. 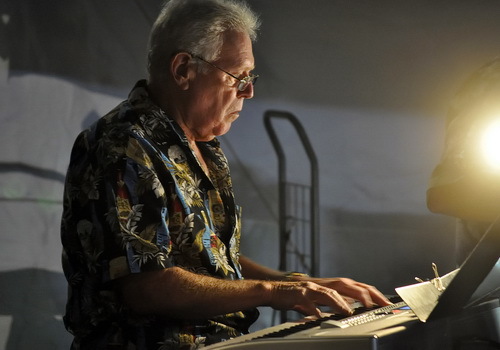 Our staff are highly qualified and experienced instructors who are aware of all the benefits of learning a musical instrument for senior citizens. Many seniors feel a void in their life after retiring and becoming more home bound. They have more spare time on their hands, and fewer activities to keep them busy. Some are alone, with limited family contact because families toady are incredibly busy with many obligations and little time. 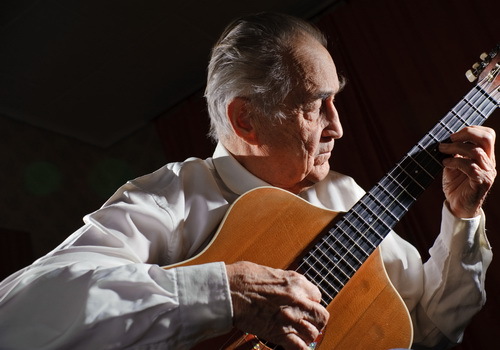 Learning a musical instrument can give seniors a purpose, get them socializing again, and they can have fun doing it. Music lessons for seniors can enrich their lives in countless ways and there are numerous medical benefits as well. Our music lessons for seniors program has a slower more flexible pace that allows for a very social experience that is focused on playing music from the 1970’s and 80’s rather than classical material. Classes are limited to between 5 and 10 members. The music lessons themselves that seniors sign up for are scheduled in blocks of 10 classes and these programs are ongoing throughout the year so there is always a set of music lesson that any senior in Richmond Hill or Markham can conveniently join. All our music teachers for the senior’s music program are very experienced and mature adults with formal education degrees in music. Located in York Region, on East Beaver Creek Drive near the border of Richmond Hill and Markham, our music lessons for seniors program offers world-class music lessons from talented instructors. We believe that the social underdevelopment of Ontario’s aging population can be addressed positively and creatively through our music lessons for seniors in our York Region program. Playing a musical instrument builds self-esteem, and it gives the elderly a chance to bring joy to others with their music while providing an enjoyable social experience for themselves that is often difficult for senior citizens to find. Join our Seniors Program now, or for more info on this program visit our Seniors Club Page or take advantage of our Free Tour for Seniors. NextMusic Class: The Child Road To Success!